WAIT A MINUTE, WHAT ARE YOU DOING TO MY BABY'S FOOT?! This was basically my reaction when some poor beleaguered nurse came in to do a "foot stick" on my baby for his newborn screening test. Yes, it's just a little pinprick, but that that point I pretty much only thought in terms of "You're making my baby cry, NOOOOOOOO....." My protective instincts were in overdrive, and watching someone squeeze my wailing newborn's blood onto an index card did not exactly fit into the idyllic picture I'd had of his first hours. Fast-forward to a couple of days later. We're home from the hospital and my milk has come in, but our son is crying again, and this time it's my fault (or at least that's how I saw it at the time). I couldn't figure out how to latch him properly and the poor child was screaming as though he would rather someone prick his foot 10 more times than spend another moment at my breast. How I wish I knew then what I know now. And many, many other conditions, some of which are life-threatening and all of which seriously affect the quality of life for a child. Since K's blood came back negative for all of these, I don't really know exactly what each one entails, but for many parents, these disorders and their consequences are all too real. 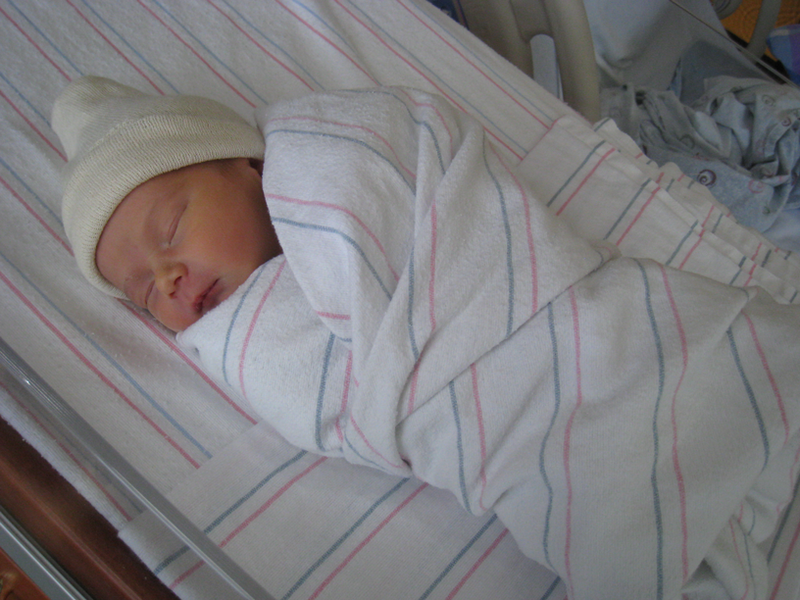 But here's the good, the wonderful, the GREAT news: though your hospital or birth center may not have robust lactation services, and while they may send home formula in a goody bag, and while your doctors may or may not be knowledgable about breastfeeding, every baby can be screened for these serious conditions. While it's not compulsory in every facility and in some cases, you might need to request the screen, it's quick, free, and available to every family in the US. As hard as breastfeeding and the newborn phase is, THANK GOODNESS at least one thing you can do for your baby's health is easy! And the heel stick doesn't last long, although poor K did cry through the whole thing. With my next baby, I plan to be nursing while they perform the test. I didn't quite understand the power of magic boobies to keep a baby calm last time, but now I do and look forward to putting that superpower to good use! 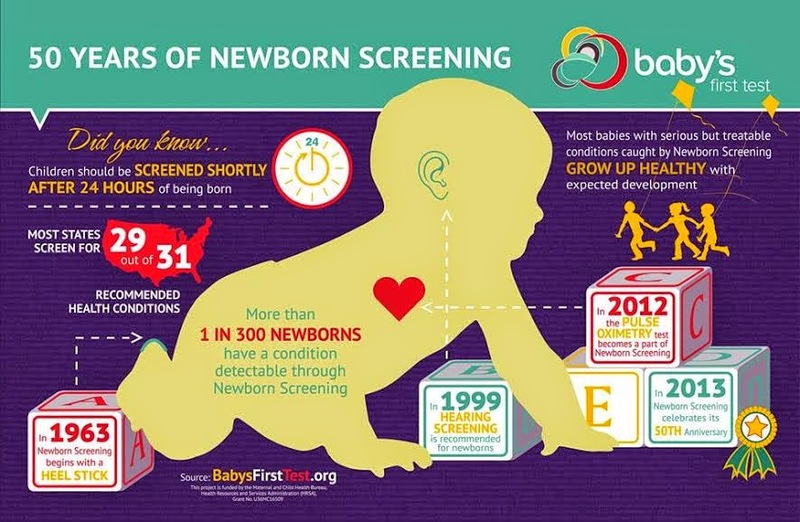 To learn more about Newborn Screening or to learn about what tests are performed at hospitals in your state, check out savebabies.org and Baby's First Test! I learned about Newborn Screening through our own Christa of Little Us and The Baby Ladies! 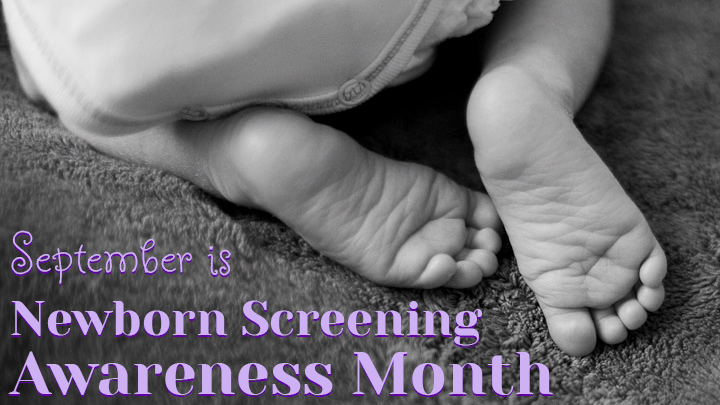 Did you know about the Newborn Screening test when your first was born? Do you have a child who tested positive for any of the conditions covered in the screening? Share with us in the comments! Thanks for sharing this great info! I didn't nurse Ryan (our first) through his heel prick, but like you I learned the magic of boobies and definitely nursed Rebecca through it :) She actually had to have it twice - the first time they apparently didn't get enough blood and the lab rejected the card! Aw man, twice??? That stinks! But at least YAY for magic boobies!